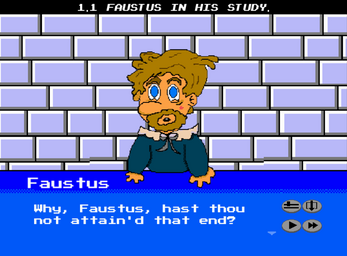 Text from the prologue and Act 1 of Christopher Marlowe's Doctor Faustus in Visual Novel form. Retro/NES style. Nice proof of concept! I'm not familiar with Marlowe's plays, so this was an interesting introduction. 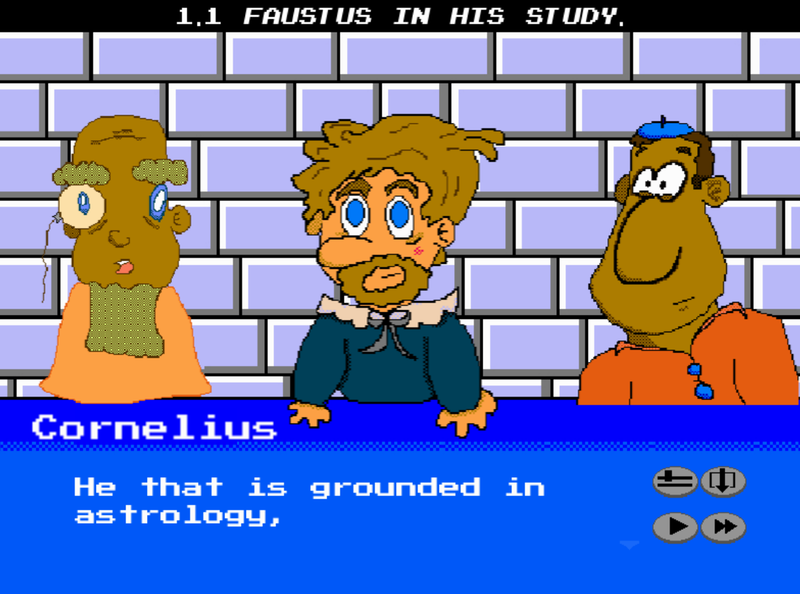 It's kind of reminiscent of retro educational software from maybe the early nineties or so. It's definitely a niche approach, but I don't think anyone is remotely doing anything like this. Good work! I wasn't expecting an entry like this, I loved the art. It was a little hard to understand though. Congrats on making an entry!! Yeah, the prose from 1592 is a bit archaic. Thanks for the compliment on the art! That's the part I can take responsibility for/feel self conscious about! 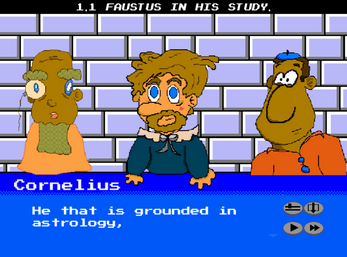 It was really great man, this type of game with that art style has serious potential! 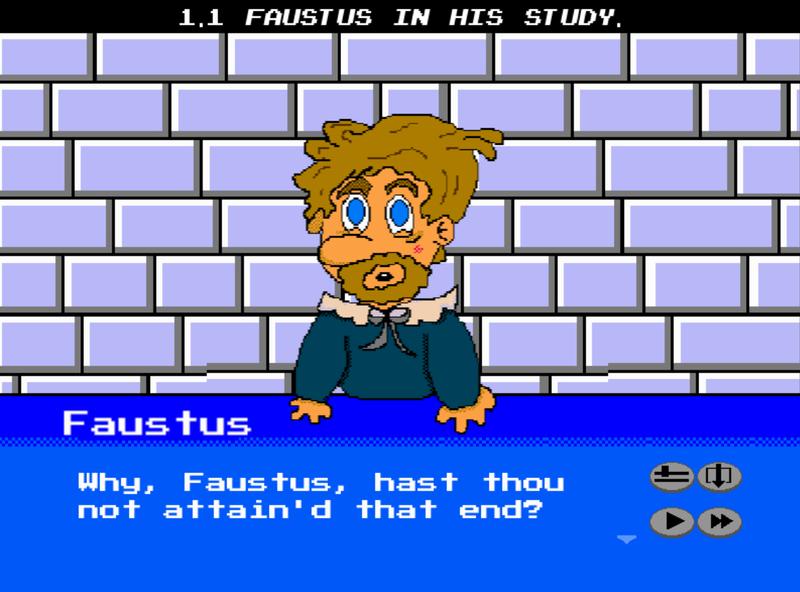 I'm not a fan of Faustus, but I'm a fan of you and I can't wait to see what you come out with in the future!